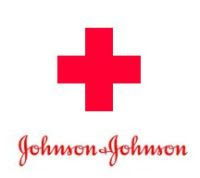 The AP reported today (link here) on the decision by the federal court judge in the ongoing lawsuit brought by Johnson & Johnson (“J&J”) back in August against the American National Red Cross (“ARC”) over the "Red Cross" trademark. See Johnson & Johnson v. The American National Red Cross, et al, Case No. 1:2007cv07061 (S.D.N.Y). On Monday, November 5, 2007, Judge Jed S. Rakoff issued an order granting in part the ARC’s partial motion to dismiss and limiting the scope of one of J&J’s claims. A copy of the ruling can be downloaded here (courtesy of pharmalot.com). Specifically, Judge Rakoff dismissed with prejudice J&J’s fourth claim for promissory estoppel – J&J’s claim that the ARC promised not to sell first aid, health, safety and emergency preparedness products with the “Red Cross” trademark. Judge Rakoff’s order also limited the scope of J&J’s claim for tortious interference with a prospective economic advantage to interference with specific customers, namely Target, Wal-mart, Walgreens and CVS. Judge Rakoff’s order indicates that a memorandum explaining the decision will be forthcoming. With respect to the other claims subject to the partial motion to dismiss, however, the ARC’s motion was denied. For some background on the dispute, check out the articles from the Wall Street Journal, the New York Times, and the International Herald Tribune published when the lawsuit was initially filed. 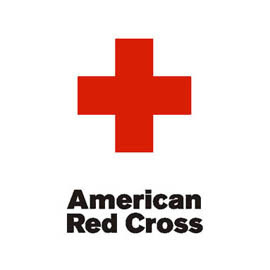 In short, J&J and the ARC have shared use of the “Red Cross” mark for over 100 years. However, according to J&J, the ARC recently authorized the use of the “Red Cross” trademark by certain third parties on retails products such as first aid kits, medical examination gloves, and hand sanitizer. J&J’s lawsuit seeks to stop ARC’s actions. J&J’s original complaint set forth three claims for relief: 1) contractual and equitable estoppel, 2) violation of 18 USC §706 (which proscribes the use of the Greek red cross by anyone other than the American National Red Cross), and 3) breach of contract (but only with respect to one of the defendants). A copy of the original complaint can be downloaded here (courtesy of WSJ.com). On September 5, 2007, J&J filed an amended complaint (copy unavailable) setting forth additional claims for relief, including the aforementioned tortious interference with a prospective economic advantage. (Click here for ARC press release on the amended complaint or here for press release on ARC’s motion to dismiss and counterclaims). While some commentators say that J&J is wrong and looks bad by bringing this lawsuit against a well-known humanitarian organization like the ARC, I think J&J’s position is the stronger of the two given the fame of the “Red Cross” trademark and the specific authority of the ARC to use such mark under 18 USC §706 (i.e., such authority was not likely to have been intended to be licensable by the ARC to third parties for the sale of products in the retail market). Who can blame J&J for taking the necessary to hold on to its trademark rights in the retail marketplace to a symbol that has in many ways already been preempted by the notoriety of the humanitarian work performed by the ARC. As for the remaining claims that were added in the amended complaint, I cannot comment without first reading a copy of the amended complaint, but the fact that the judge let them remain does send a signal that the ARC’s position may not be as strong as it thinks.